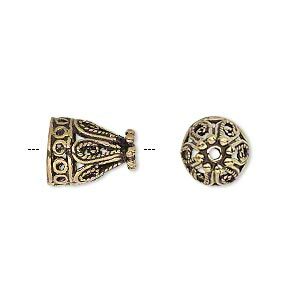 Cone, antique gold-finished brass, 10x8mm fancy filigree, 6mm hole. Sold per pkg of 10. Item Number: H20-A2353FN Have a question about this item? 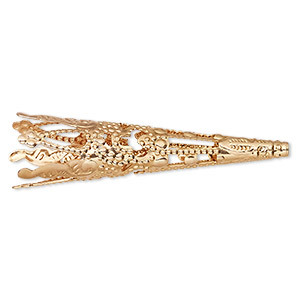 Lightweight cast filigree brass cones are covered with intricate patterns of swirls, curls and geometric shapes. They are finished with antique gold to bring out the complex surface detail. 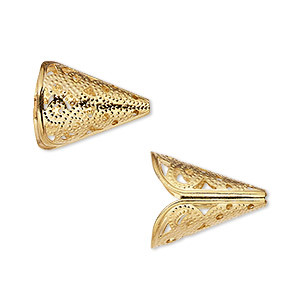 Cone, antique gold-finished brass, 13x10mm filigree, 8mm hole. Sold per pkg of 6. 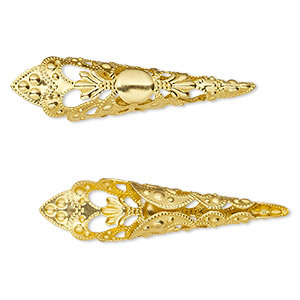 Cone, gold-finished brass, 17x14mm filigree with 11mm inside diameter. Sold per pkg of 12. 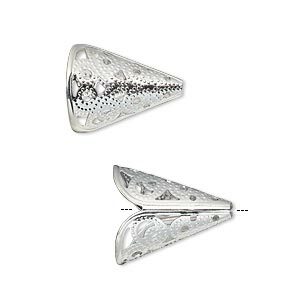 Cone, antique silver-plated brass, 10x8mm fancy, 6mm hole. Sold per pkg of 10. 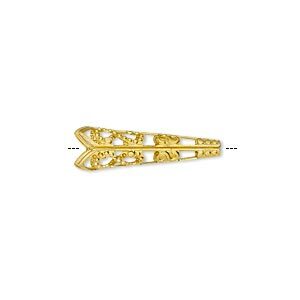 Cone, gold-finished aluminum, 50x12mm filigree with 8mm inside diameter. Sold per pkg of 25. 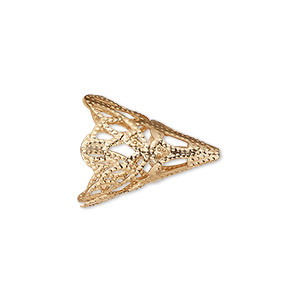 Cone, gold-finished aluminum, 20x17mm filigree with 14mm inside diameter. Sold per pkg of 25. 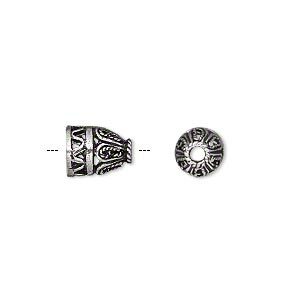 Cone, copper-gold plated aluminum, 20x17mm filigree, fits 14mm bead. Sold per pkg of 25. Cone, copper-gold plated aluminum, 40x10mm filigree, fits 10mm bead. Sold per pkg of 25. 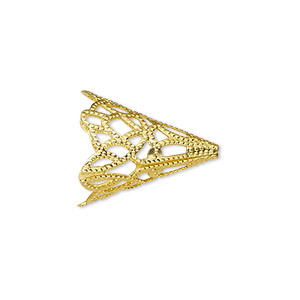 Cone, gold-finished aluminum, 21x6mm filigree with 4mm inside diameter. Sold per pkg of 25. 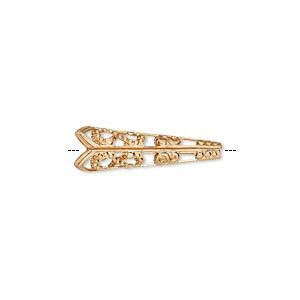 Cone, copper-gold plated aluminum, 21x6mm filigree, fits 4mm bead. Sold per pkg of 25.